Blair County (pop. 127,089) is west of Huntingdon County. 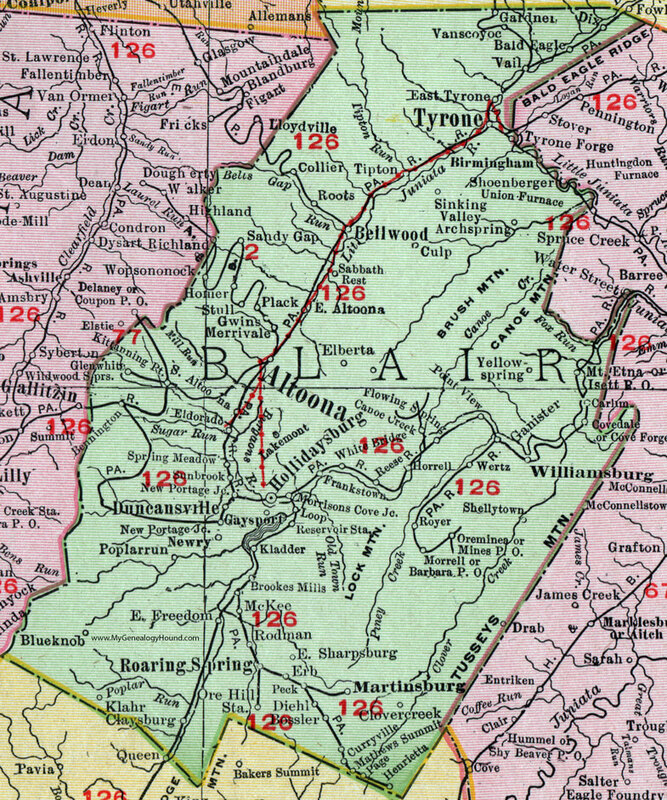 The only Blair County in the U.S., it was named for John Blair, an early business leader in the area. 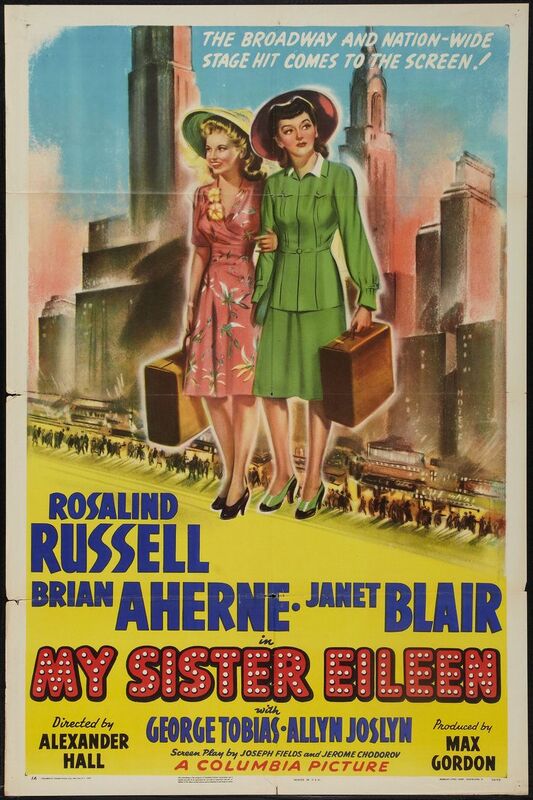 Janet Blair (1921-2007), big-band singer and actress, was born in Blair County with the name Martha Janet Lafferty. She took the county’s name as her stage name. The county seat of Blair County is Hollidaysburg (pop. 5,791). Highland Hall in Hollidaysburg, formerly a seminary, a school for girls, and a county office building, has recently been renovated as housing for senior citizens. 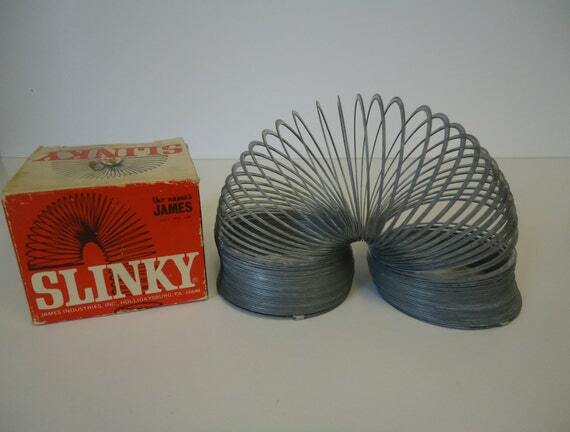 Slinky toys have been manufactured in Hollidaysburg since the early 1960s. Hollidaysburg was the birthplace of gossip columnist Hedda Hopper (1885-1966) and Harold Ickes (1874-1952), Secretary of the Interior for 13 years in the Franklin D. Roosevelt administration. The largest city in Blair County is Altoona (pop. 46,320), just north of Hollidaysburg. Altoona reached its peak population of 82,054 in 1930. The Altoona Works, built by the Pennsylvania Railroad between 1850 and 1925, was for many years the largest railroad shop complex in the world. The Horseshoe Curve is a legendary three-track railroad curve into the Allegheny Mountains, just west of Altoona. A visitor center and observation deck are located on the inside of the curve. The Altoona Curve is a minor-league baseball team in Altoona – the Double-A Eastern League affiliate of the Pittsburgh Pirates. 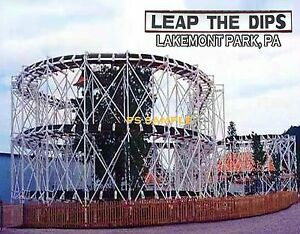 Altoona claims to have America’s oldest gas station (1909) and America’s oldest roller coaster – Leap the Dips (1902) in Lakemont Park.